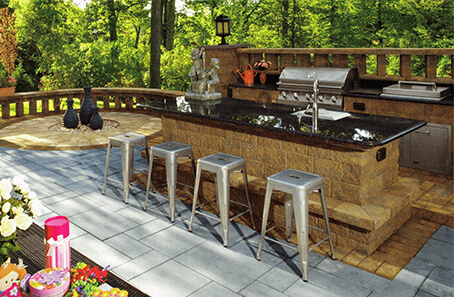 We Know Forney Outdoor Living! We service all areas east of Lake Ray Hubbard! 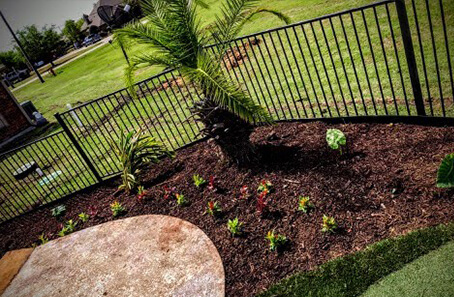 From designing to installation, Southern Style Lawn Care and Maintenance ensures elegant and beautiful residential or commercial outdoor living in Forney, TX that is designed and executed with precision and care. We are licensed and bonded, so you know you’re working with experienced, knowledgeable, and professional staff that is #1 in Forney! 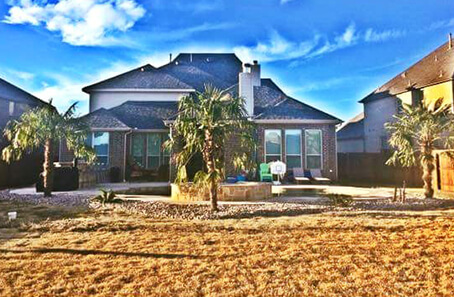 Let our outdoor living in Forney, TX create the yard of your dreams! 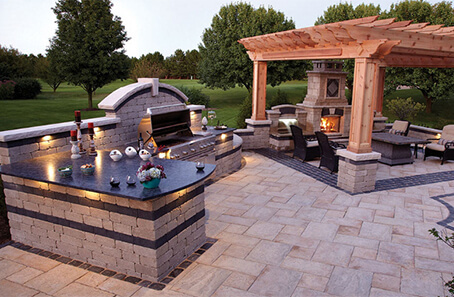 Whether it’s installing a BBQ pit or setting up your outdoor lighting, give us a call! 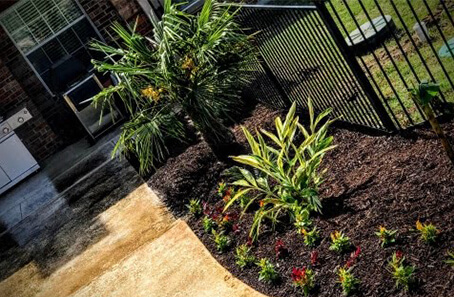 When you hire Southern Style Lawn Care and Maintenance, you get a highly qualified team of architects, stonemasons, craftsmen and gardeners who work together as your top design-build firm. We see your project through from planning to completion, keeping you in the loop at all times and encouraging feedback and ideas! 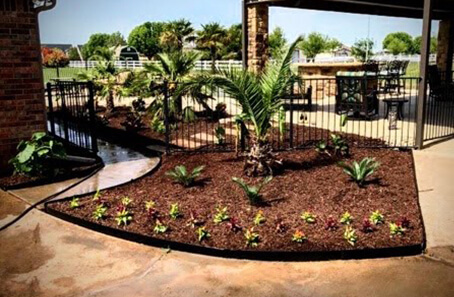 We take pride in designing some of the most beautiful outdoor living spaces in Forney! 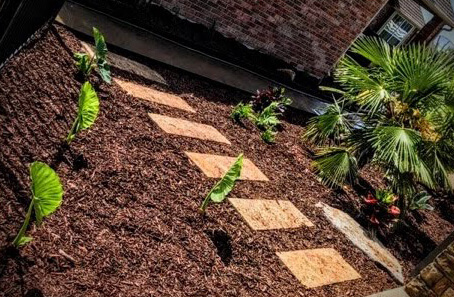 Our licensed and certified team has the expertise to design and create a beautified and landscaped environment that reflects your property, whether if it’s for your residential or commercial. 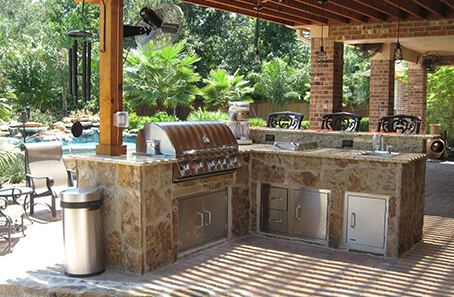 Our designers will work with you to design your dream outdoor living in Forney, TX, and we will develop a detailed plan that considers the property as a whole. This will not only allow you to visualize the work to be done but also helps us to better communicate throughout the design and building process. 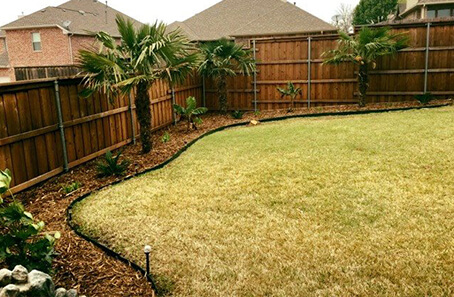 At Southern Style Lawn Care and Maintenance, we have professional and knowledgeable staff that can help you achieve your beautiful outdoor living in Forney, TX. Quality craftsmanship is our gold standard. 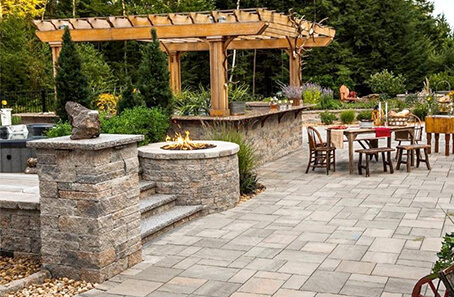 We design and install elegant, unique, and affordable outdoor living that will compliment your property. Get in touch with us today for your FREE ESTIMATE! See what your neighbors are saying…. 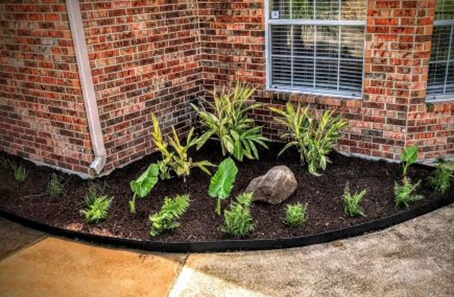 What can I say… My front yard looks fantastic thanks to Southern Style Lawn Care! These guys made my lawn look it came out of the Garden of Eden! Haha! They made my lawn and garden look AMAZING!! I definitely choose them again! Thank you so much! I’ve known Josh a long time. He maintained the 660 unit storage property I managed in Forney. Always fast responses and great quality of work. I would recommend him to anyone!! The folks do excellent work at reasonable prices. This is the company that will maintain my flower beds! Very professional company. Does a terrific job trimming the hedges and trees. Keeps my lawn looking great year around. Fantastic job in clearing out my woods…. navigated through 1 foot of leaves across 1/2 acre (to include snakes and debris)…awesome job!!! Southern Style did an outstanding job! Josh listened to what we were wanting and delivered! Loving our landscaping! !